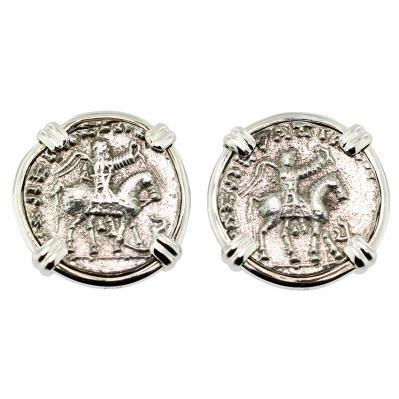 SOLD King Azes and Zeus Drachm Earrings; Please Explore Our Earrings For Similar Items. 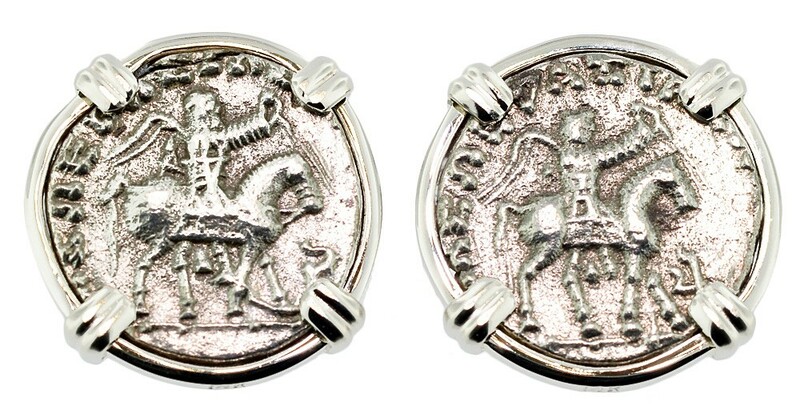 The obverse of these 1st century BC coins feature King Azes II on horse, holding a scepter, with a Greek royal headband and the Greek legend "The Great King of Kings Azes". 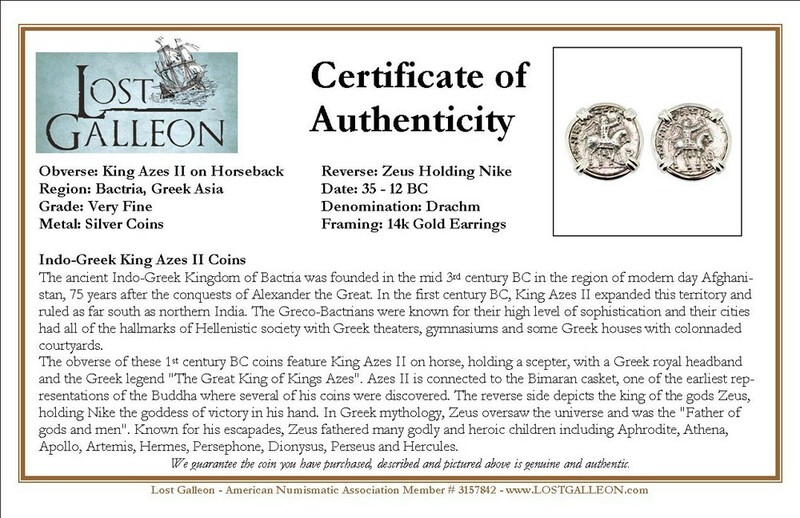 Azes II is connected to the Bimaran casket, one of the earliest representations of the Buddha where several of his coins were discovered. 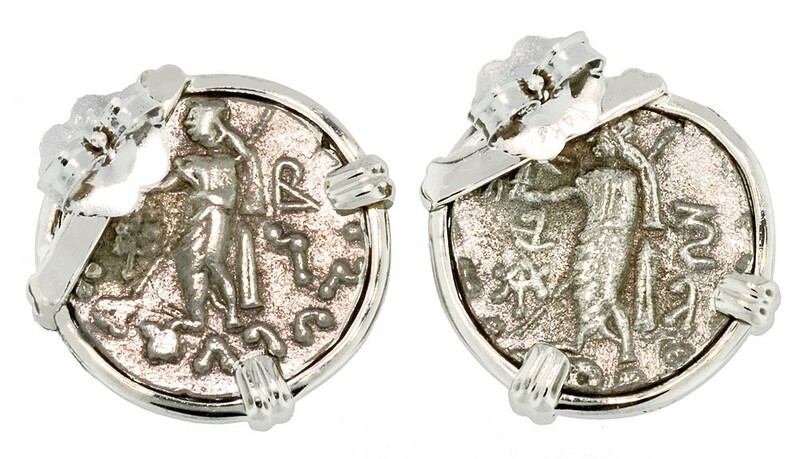 The reverse side depicts the King of the gods Zeus, holding Nike the goddess of victory in his hand. In Greek mythology, Zeus oversaw the universe and was the "Father of gods and men". Known for his escapades, Zeus fathered many godly and heroic children including Aphrodite, Athena, Apollo, Artemis, Hermes, Persephone, Dionysus, Perseus and Hercules.